It’s one of the most wonderful times of the year! The lights, the smells, the joy, the music and our loved ones – make this an exciting and sometimes crazy time of year. In the midst of all the chaos, we’d like to invite you to join a group of women that put the “heart” back into the season. Please join us as a guest by coming to rehearsals to learn the music starting October 9, 2018, then join us in singing some of the songs that you learned for our Holiday Concert on December 4, 2018. Seattle Shores Chorus is a Sweet Adeline chorus and we sing Barbershop harmony. We are a group of women who love to sing and love to share our songs with our community. If you want to make a difference in your community and in your own life, please consider joining us for an evening of laughter, song and music. It is a scientific fact that Music keeps you young. Come and find out why! 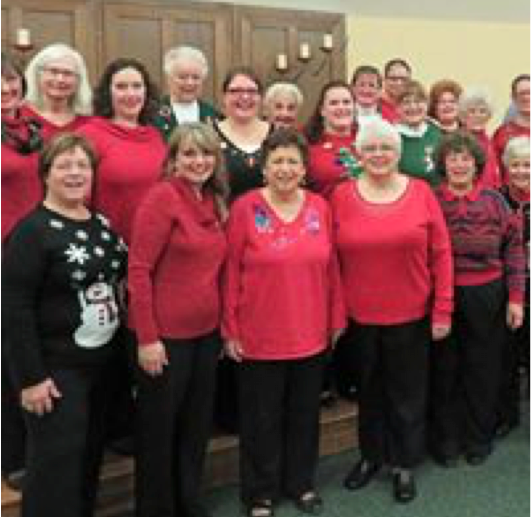 If you come by and start learning now you could sing with us as a guest at our Holiday Concert on December 4, 2018. We meet at the Shoreline Unitarian Universalist Church at 14724 1st Ave NE in Shoreline on Tuesday nights from 6-9pm. Anyone can learn to sing if you have a willingness to learn. It is helpful if you can read music but not necessary! For more information, please contact Christine Allen at 425-402-3465 or you can send us an email at: Seattle.Shores@yahoo.com.